Mitsubishi Auto Repair Sacramento - Standard Auto Care Inc.
For Mitsubishi drivers, Standard Auto Care has been the go-to auto repair shop in Sacramento for over 20 years. Because we have the technology and equipment to work on all makes and models of Mitsubishi, along with a team of personable and skilled auto mechanics, we have earned a reputation for excellence. We are proud to be often chosen over Mitsubishi dealerships in the Sacramento community. 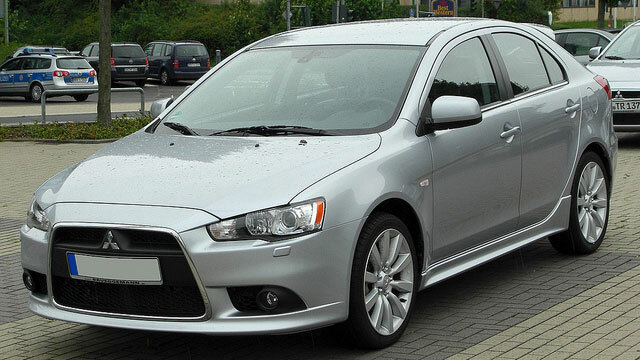 At Standard Auto Care, we’re here to help you keep your Mitsubishi vehicle running in pristine condition, whether it is a Lancer, Eclipse, Galant, Mirage, Outlander, Endeavor, or any other model. Our ASE- Certified auto mechanics technicians and service advisors will take good care of your car, and keep you posted every step of the way. We can also help you with transportation while your vehicle is in the shop. We encourage our Mitsubishi drivers to use our shuttle services and loaner cars. If Standard Auto Care is starting to sound like the kind of place you want to bring your Mitsubishi in for service, don’t hesitate to contact us! You can find us at 2240 Colfax Street, Sacramento, California 95815. If you’d like to make an appointment or need Mitsubishi auto repair and maintenance, give us a call. We look forward to hearing from you soon! You’ll be glad you came to Standard Auto Care.